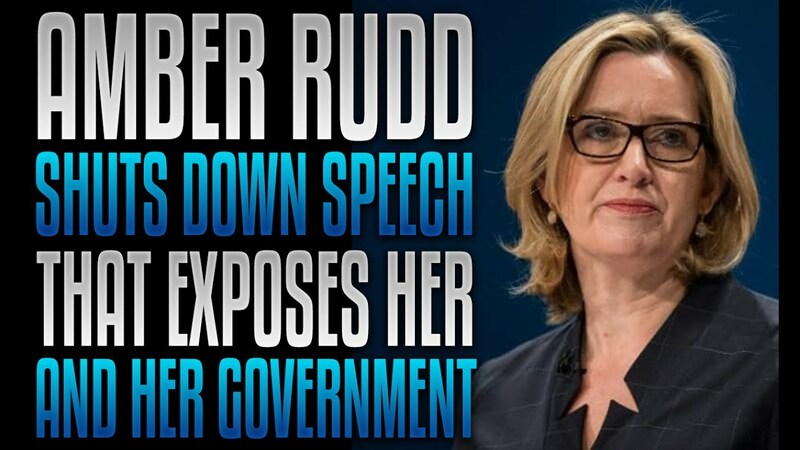 Patriots to face criminal charges for watching YouTube videos if British Home Secretary Amber Rudd has her way? The following podcast will shock you. Although the proposed censorship and criminalisation of media consumption laws currently only apply to Great Britain, one should expect them to follow in United States, the other parts of the Anglo sphere and beyond. If Amber Rudd, Tory MP and British Home Secretary, has her way, watching videos that promote nationalist content on YouTube and on publicly accessible social media platforms like Facebook and Twitter could result in viewers being arrested. In fact, Rudd is proposing legislation that will ban watching and consuming right wing content on YouTube. Moving forward the only way people like us will be able to communicate and promote our cause will be by hosting our own content on sites like Resistance Radio. The fact the most bloggers who do it for a hobby cannot afford to host their own content means more and more nationalists will find themselves censored. Hopefully our site and sited like ours will grow, so that we can provide you a secure place away from YouTube and the long wicked arms of Amber Rudd and her oppressive laws. Nick Griffin and Jack Sen will be elaborating on this subject shortly. ResRadio's Simon Roche and Henri Le Riche will be discussing South African nationalists next week as well. For now here are Mr I's thoughts on the matter.